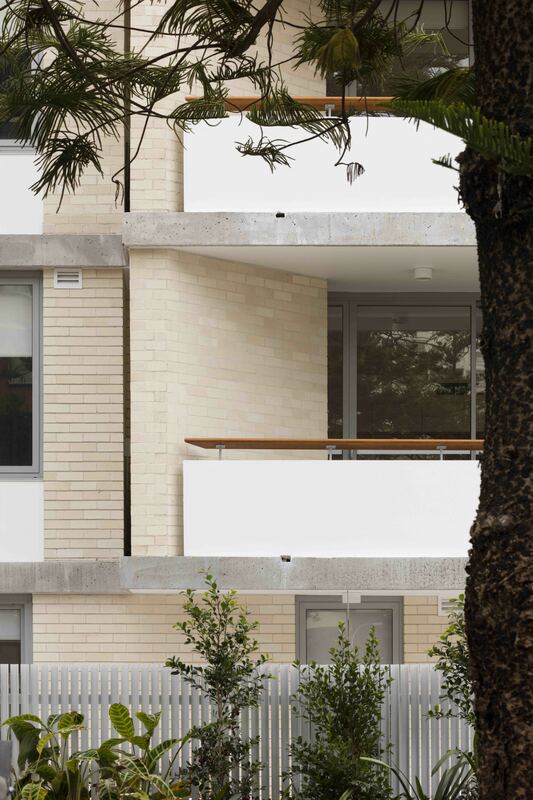 Situated in Brighton-Le-Sands with views over Botany Bay, the project sits behind large pine trees on Gordon Street. 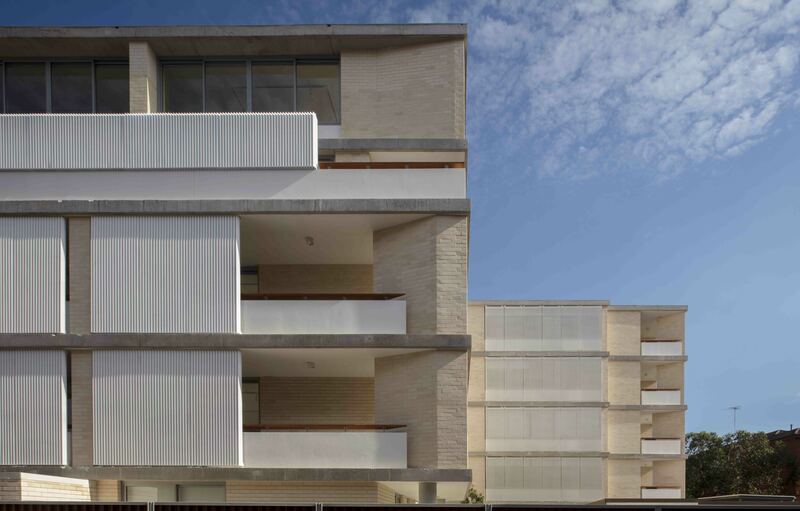 The building is formed from simple geometry, with articulated corners, deep balconies and an angulated plan, this serves to break-down the apparent mass of the elevation. 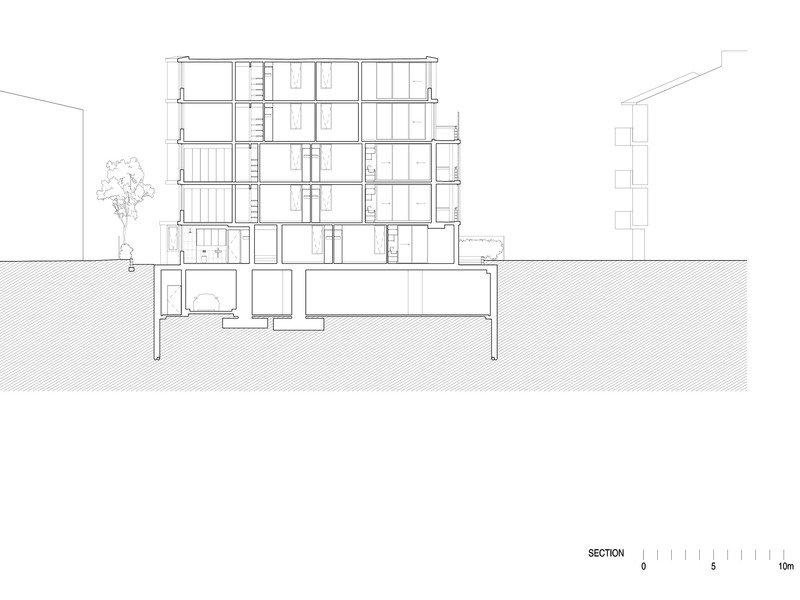 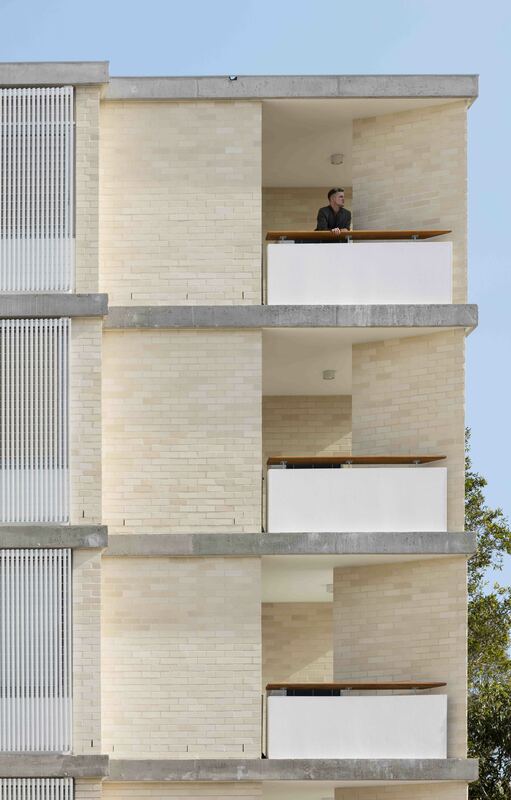 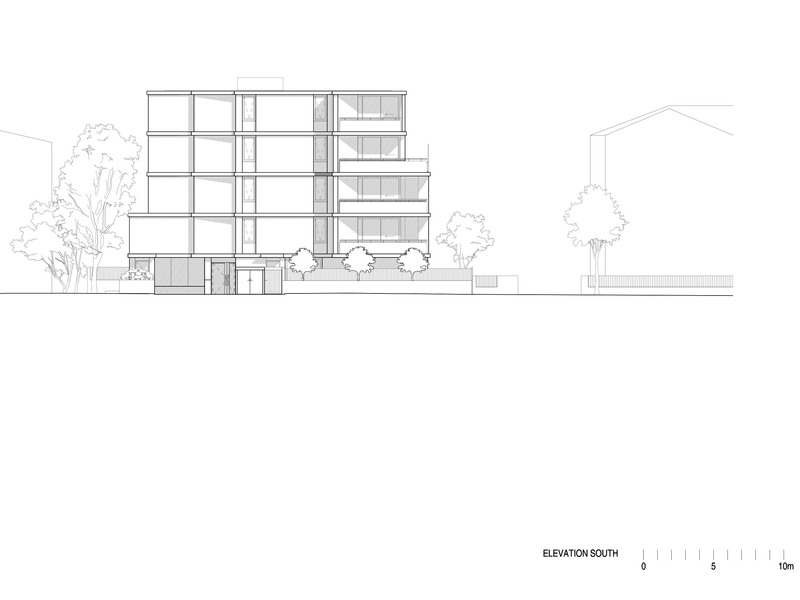 The project embraces its coastal environment with both private and shared gardens at ground level, and large balconies which facilitate the apartments on the levels above. 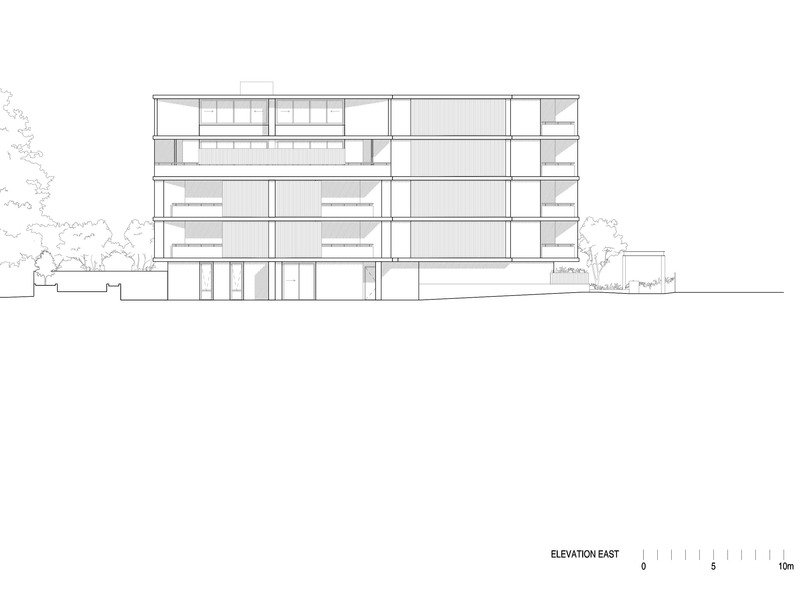 Foliage, trees and screens create soft thresholds throughout the site, fashioning outdoor rooms with privacy and shade. 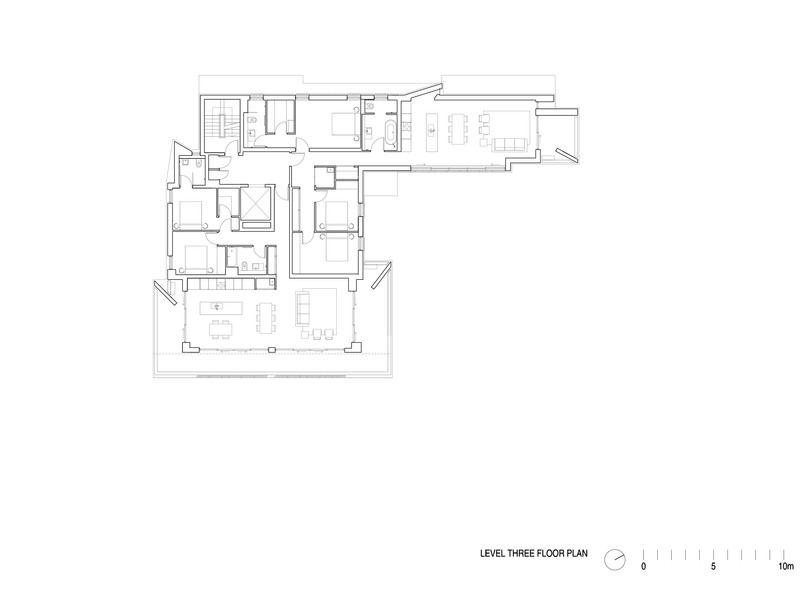 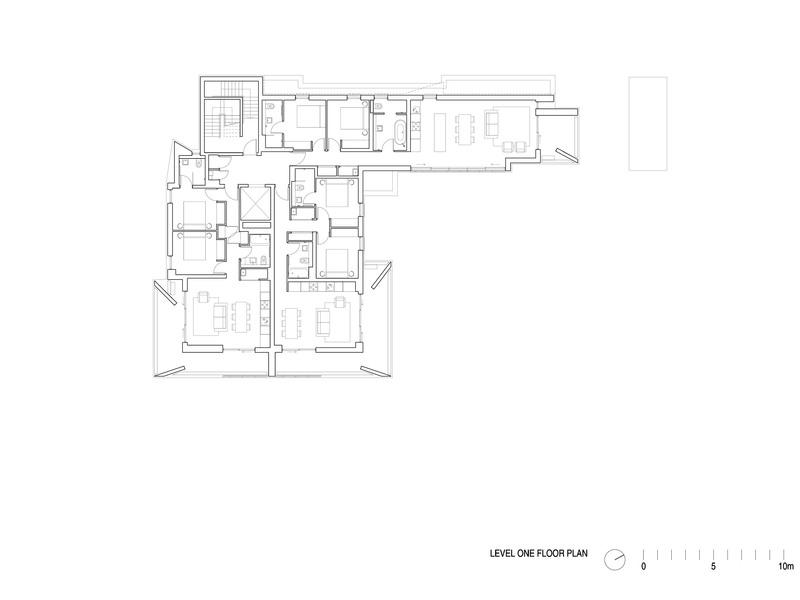 Duel aspect open plan areas flood the apartments with ample natural sunlight and enable cross ventilation. 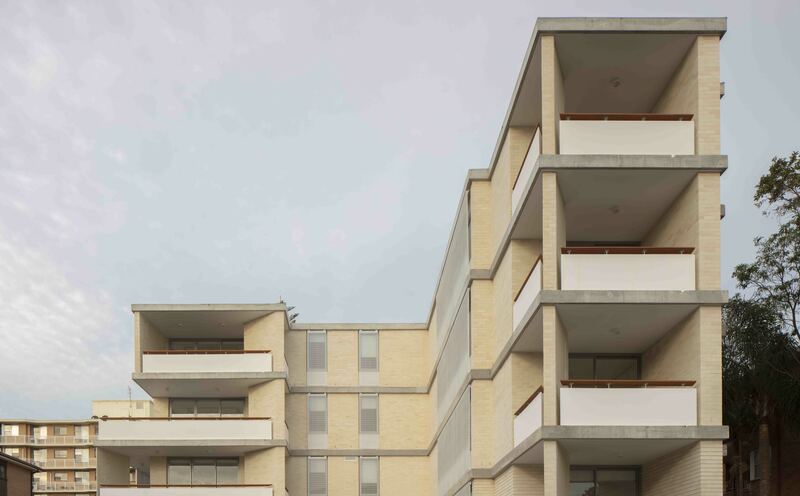 Deep balconies protect the living areas from excess heat gain during the summer alongside large amounts of thermal mass from concrete structure, ensuring thermal comfort. 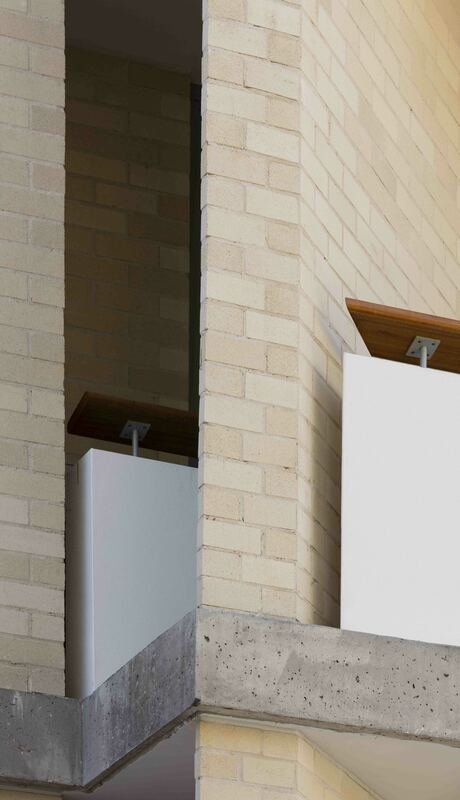 A robust material pallet of chillingham white brick, concrete block with an em smooth porceline finish and timber detailing create a natural colour scheme sympathetic to the local environment. 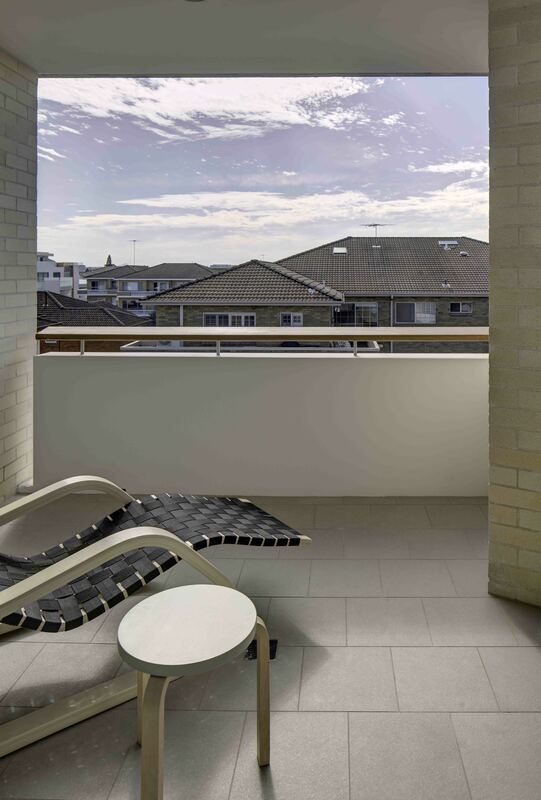 The simple palette of naturally finished durable materials ensures the project is low maintenance and suited to the coastal environment.